ProactivCare Gold Plan – Quality Computer Services, Inc. Invest in the ProactivCare Gold Plan by Pittsburgh-based Quality Computer Services, Inc. for better IT support to protect your business. You’ve invested a lot of time and energy into growing your business — don’t put it all at risk by leaving your IT environment unprotected. When your IT infrastructure fails, you can experience unexpected downtimes, data loss, interruptions in your business and even financial instability. At Pittsburgh-based Quality Computer Services, Inc. (QCSI), our primary focus is to prevent your computer problems from spiraling out of control. Our ProactivCare Gold Plan is the flagship of our ProactivCare Plans. It provides you with our highest level of technology support for one low monthly fee. By investing in this plan, you can rest easy knowing we will proactively manage your IT and technology infrastructure. As a Certified Microsoft Partner, not only will we reduce or eliminate your computer problems, but we will also maximize your network’s speed, performance, and stability—without the expense of an internal IT department. Is ProactivCare Gold Right for You? Before getting started, we will take the time to better understand your business so we can recommend the appropriate ProactivCare plan. Is the ProactivCare Gold Plan Right for You? ✓ Need your network, email, database, and Internet access running 24/7 without problems. ✓ Want data security and do everything possible to prevent data loss, corruption, or theft. ✓ Would like to maximize speed, availability, and performance of your network. ✓ Hate dealing with—or thinking about—computer problems and other complexities of operating a computer network. ✓ Have little time or staff to deal with computer network maintenance. ✓ Dislike talking technical with outside vendors when issues arise. ✓ Desire one point of contact for all technical questions and problems. ✓ Prefer a full-time IT staff but unable to afford or justify the expense. ✓ Crave peace of mind knowing your data is protected to prevent loss of time and money. ✓ Realize your time is best spent on your business making money rather than wasting time dealing with technology problems. To learn more about the ProactivCare Gold Plan, contact us today. Every three months we perform onsite and extensive analysis of your network’s trends, security, and performance. We will also review your company’s goals and technology issues so we can offer recommendations to improve your network performance, office productivity, and help you plan and budget for future IT needs. We will help you plan how to use technology to increase productivity, cut costs, gain competitive advantages, and support your company’s growth. In the rare event your network goes down, or if you experience any related problem, our team of senior technicians will troubleshoot and resolve the issue at no additional service fee. Consider this your network insurance plan. Includes network upgrades, special projects, or any other type of service we offer outside of this plan. 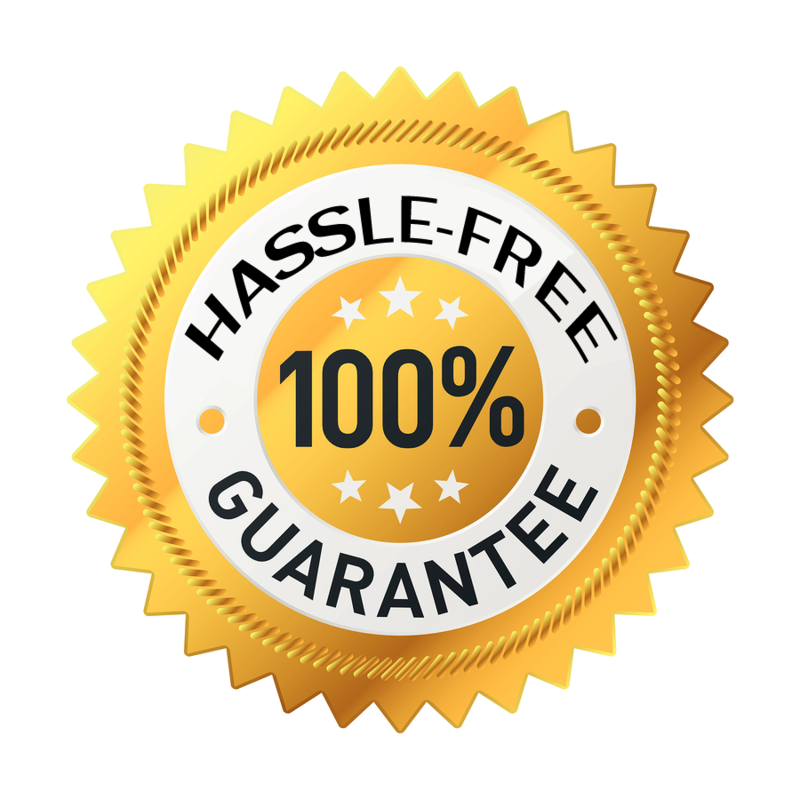 Finally, as a ProactivCare Gold Plan member, you are exclusively covered under our 100% No-Hassle Guarantee—a powerful guarantee no other IT firm or consultant would dare to make. We promise to detect, diagnose, and prevent any network problem from escalating into downtime. If your network goes down for any reason, contracts a virus, is infiltrated by hackers, or is affected by any other problem that requires clean up and fixing, we will restore your network back to full speed with no additional service fees. Detect network problems before they escalate into downtime, data loss, or expensive repair issues. Get faster performance, fewer glitches, and practically zero downtime. We can access and repair most network problems remotely. If we cannot fix it remotely, we will dispatch a technician to your offices the same day. Maintain a comprehensive record of IT assets by collecting and tracking hardware and software inventory while ensuring compliance with all licenses and establishing proper configurations. Act on your behalf with your phone, internet and other providers so your problems are taken care of promptly and completely. Speak to a knowledgeable technician anytime during business hours about any IT issue. It’s like having your own in-house IT department—without the cost. Prevent viruses from jeopardizing your network’s security. You’ll sleep easier knowing cyber criminals are being thwarted by our 24/7/365 monitoring and on-going maintenance. Schedule backups to help maintain data integrity so your valuable information is secure and recoverable. Safeguard your data with our comprehensive monitoring and deployment of virus definitions and updates, as well as identification and automatic updating of all software patches and hotfixes. Your system will always be current and running at optimal performance. Stop annoying spam, pop-ups, and spyware from taking over. When you use Quality Computer Services, Inc. (QCSI) to support your technology needs, you receive more than technical support. You’ll have access to a talented team of IT professionals with over 100 combined years of experience providing service and support to small and mid-sized businesses. Copyright © 2017 Quality Computer Services, Inc. All rights reserved.